I arrived very late and the staff was very friendly. The room was nice, the bed is comfortable. There was a take-away breakfast provided ( a croissant with butter and jam, a piece of fruit, juice, and yogurt). I was pleasantly surprised at the provision of a 'take-away' breakfast as I was always on a tight schedule which it fitted perfectly. I welcomed the ease of entry to the building and my room with the added convenience of car parking. Very friendly and efficient service, nice quiet room - and healthy breakfast! Not much to be honest. The room was functional at best. I stay in that place second time and I like it. I will back again for sure. Room was clean, warm and tidy. Grab and Go breakfast was acceptable. Very friendly. Basic room with ensuit shower. 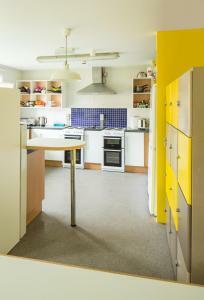 Communal kitchen space but fully equipped with ovens, microwave, fridge and TV. Green surroundings. Friendly, helpful, efficient staff. Great location. 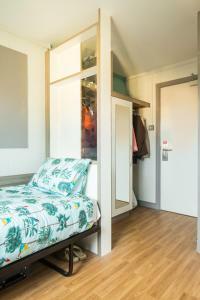 Lock in a great price for Queens's University Elms BT9 - rated 8.3 by recent guests. 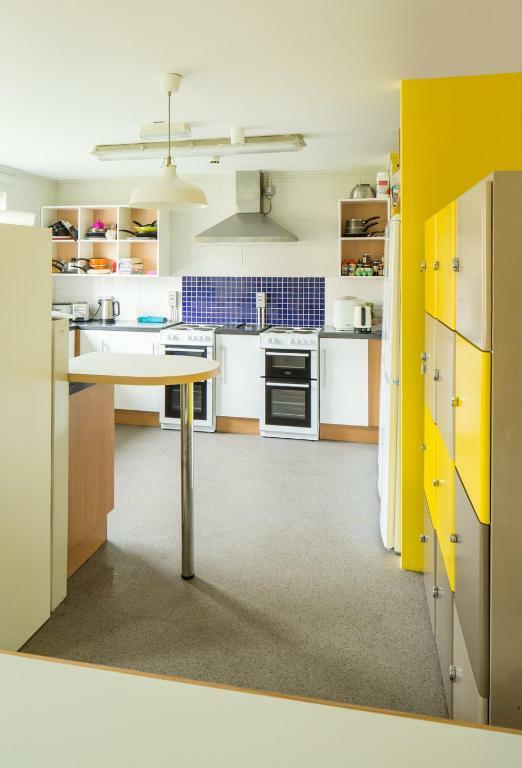 This modern, village-style residence is 900 yards from the university campus and a 15-minute walk from Belfast city centre. It has 24-hour reception and security, free internet and communal kitchens. 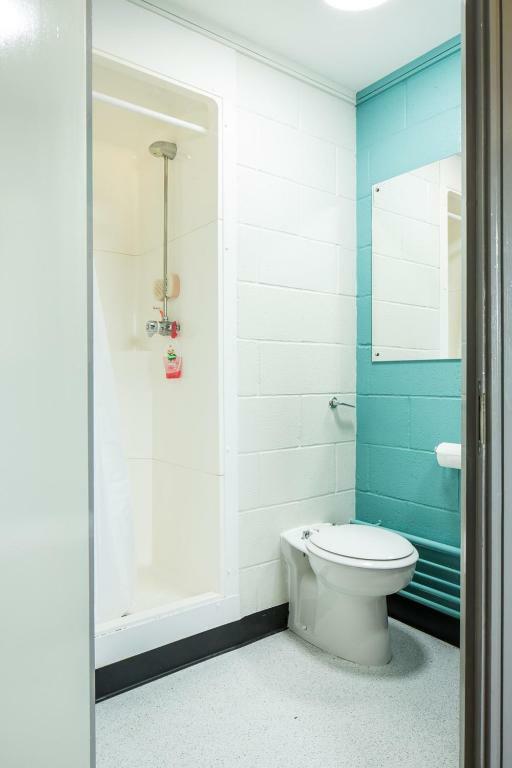 Queen's University Belfast, Elms Village offers compact rooms featuring a work area and a private bathroom with a shower. 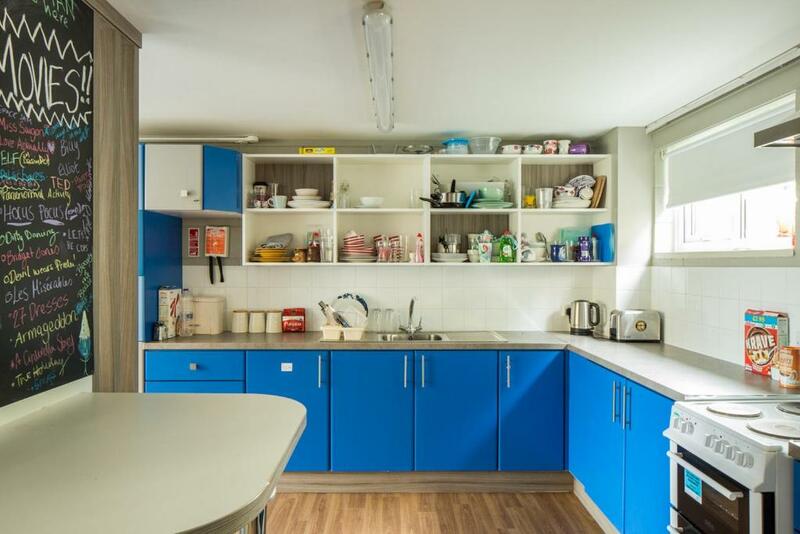 Each floor level has a kitchen, tea/coffee facilities and a TV lounge. A Grab’N’Go breakfast is provided, consisting of a piece of fruit, drink, yoghurt and croissant. Just a few minutes’ walk away, The Treehouse central complex contains a restaurant, bar, laundrette, shop and cash machine. Local attractions include the Ulster Museum and Botanic Gardens, 0.7 miles away. Belfast’s vibrant Queen’s Quarter has restaurants and night life, and is just over 1 miles’ walk. Queens's University Elms BT9 has been welcoming Booking.com guests since 6 Jul 2010. When would you like to stay at Queens's University Elms BT9? With a shower in the private bathroom, this room also has a work desk. 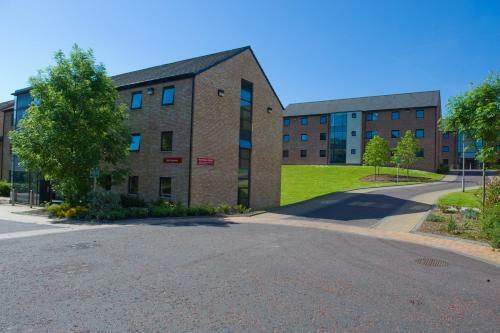 Queen’s University Belfast offers accommodation in university halls of residence in the heart of Belfast. Our bedrooms feature the amenities needed for a comfortable stay, while giving guests the freedom and time to explore as much of Belfast as they can. Our staff provide a friendly and helpful service to all guests, who have come from all over the world to visit our capital city. Queen’s University Belfast is located in South Belfast, where guests will find some of Belfast’s trendiest bars and restaurants. For those wanting to explore its heritage sites and indulge in a spot of shopping, Belfast city centre is only a short walk away. House rules Queens's University Elms BT9 takes special requests - add in the next step! Queens&#39;s University Elms BT9 accepts these cards and reserves the right to temporarily hold an amount prior to arrival. Queens's University Elms BT9 accepts these cards and reserves the right to temporarily hold an amount prior to arrival. Use of key fob for entry and exit at corridor and room could have been better explained on collection, especially for non native English speakers. A French lady staying at the same time as me apparently did not understand the green knob and thought it was related to the fire alarm. And there is no means of contacting reception from the building in an emergency. Pick up breakfast was very ready at the time stated and very adequate. Reception staff were very helpful. Location is very far from the city center in terms of walking, probably over 30mins. The only difficulty I endured was the operation of the shower which I almost gave up trying to use. I am sure that the units installed are necessarily robust but can imagine that some occupants would not be strong enough to turn the mixer on or off. I realise that finance will be an issue with, I understand, a large number to modify/service but surely modifying the direction that water is dispatched would also overcome outward spraying of water to avoid flooding the bathroom floors. I had no complaints at all. There was no hot water in the shower, late check in (14.10) from their side cause the room “was not prepared”, although I have asked a quiet room there was noise all night, although I have been told that the check out will be at 11.00 am, cleaners knocked my door at 10.20am to get out, cause the check out time was at 10.30 !!! I didn't like most of the breakfast items.